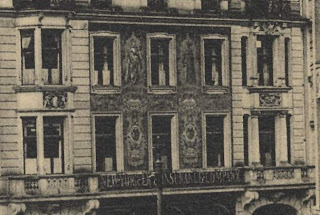 Not to be confused with the New York Equitable Insurance Company at 43 Leipziger Strasse, this building was designed in 1880 by Kayser and von Grossheim and was located farther west, on the corner of Leipziger and Wilhelm Strasse. 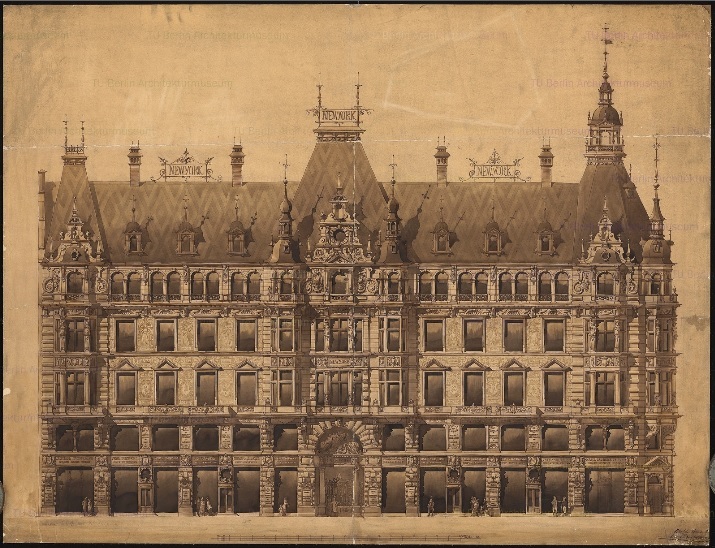 Two facades of the palace contained Salviati mosaics of allegorical depictions of cities modeled after cartoons by Otto Lessing. They included: London, Paris, Berlin, Vienna, New York, and Rome. 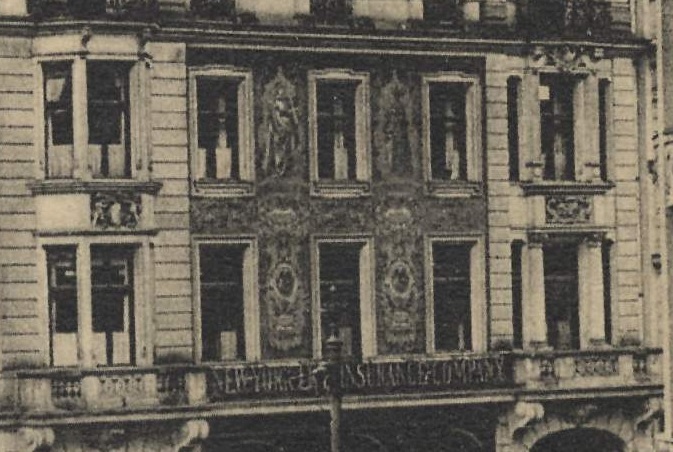 Although the building next to it at 125 Leipziger Strasse survived, the New York Insurance Company building was destroyed in World War II. 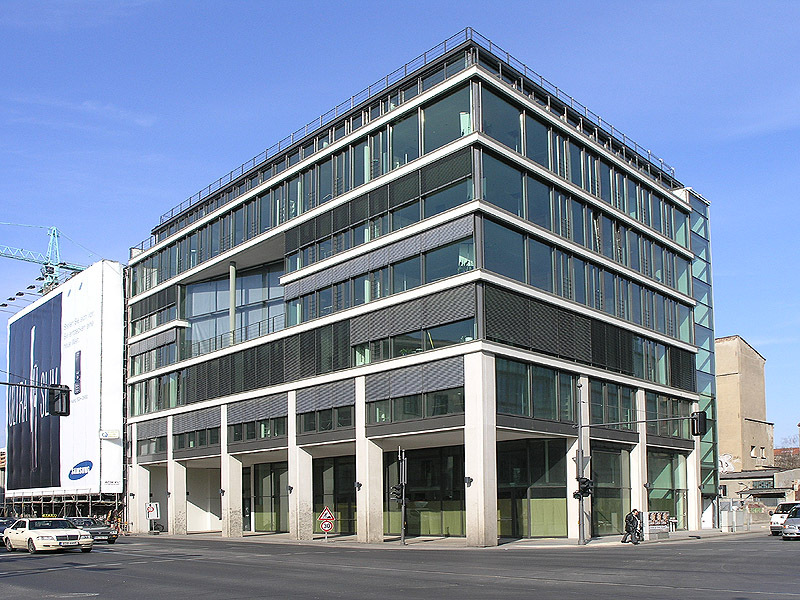 In typical Berlin fashion, it's been replaced by a modern office building. 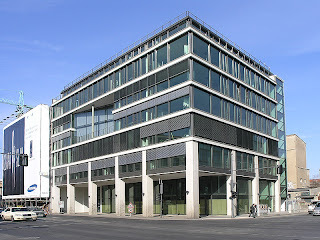 Grieben-Verlag. Berlin, Potsdam und Umgebungen: Praktischer Wegweiser. 140. Guide through Germany, Austria-Hungary, Italy, Switzerland, France, Belgium, Holland and England. 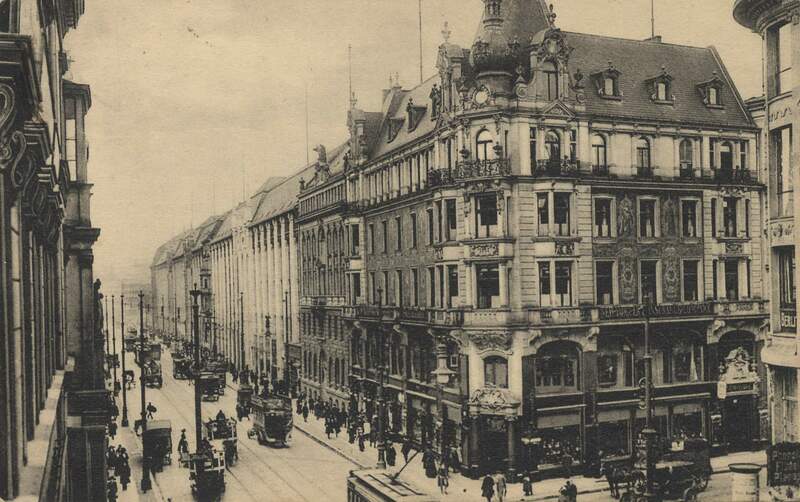 Berlin: J. Reichmann and Cantor, 1896. 12. Baedeker, Karl. Northern Germany: as far as the Bavarian and Austrian frontiers. 10th ed. 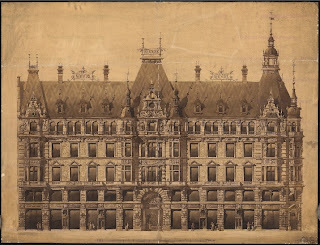 London: Dulau and Co., 1890. 55.